Looking to sell gold in Sugarland? You have come to the right place. Houston Gold Buyers has been serving the Sugarland area since 1993. Just hop on highway 59 and it’s a strait shot to the Montrose exit, conveniently located at 1330 Westheimer Rd in the heart of Houston, just minutes from the galleria. Why not make a short drive to get more for your gold? We are looking to buy anything made of gold. 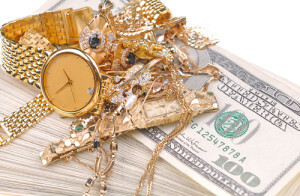 Items we buy are broken gold, unwanted gold jewelry, gold watches, dental gold, gold coins, and gold bars. We have been buying gold in Sugarland and Houston for almost 30 years. We know we will pay the most because we will beat any legitimate offer. Some very nice pieces will buy as a finished jewelry piece instead of scrap value. We are also looking for large G.I.A. certified diamonds as well as fancy colored diamonds. All payments are made immediately. Selling gold in Sugarland does not need to be a hassle. Bring your unwanted gold to Houston Gold Buyers. We will quickly grade your items, check the weight, and make you an offer based on the current gold market. Gold prices fluctuate so selling when gold prices are high are your best bet. We do all of our weighing and calculations right in front of you. No walking in the back to make the offer. We are 100% transparent. Want to see how well we do? Check out our reviews. We can say whatever we want on our website so please read the reviews from our customers. Nothing like good honest feedback from real customers for you get a true picture of how we operate. We go out of our way to make sure when you leave our location you feel treated fair and that you got the best price for your gold. Like we said before if you get a higher offer anywhere else bring it in and we will match or beat it. We are not only a place to sell gold in Sugarland we also sell gold as well. 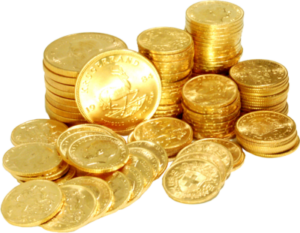 We have a full stock of gold coins, gold bullion, gold bars and gold jewelry. 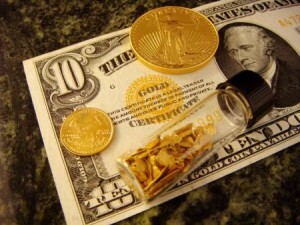 If you are looking for gold american eagles, gold Krugerrands, gold pandas, or suisse gold bars we’ve got you covered. Please note prices on gold change daily so prices are subject to change with no prior notice. Watching the current gold market is key when investing in gold. We suggest going to Kitco to keep on top of the constantly changing gold market. Kitco has real time updates on the gold commodities market and is your best source to keep on top of the current price of gold. Knowledge is key when investing in gold and our trained professionals are here to help with that education. An informed customer is a happy customer and we are happy to teach you all the tricks in investing in gold.